The rapid evolution of technology and continuous improvement of computer and software has dramatically expanded the possibilities to map harsh environments in three dimensions. Several instruments such as laser scanners or image-based sensors can be used in most situations, but these tools are costly and difficult to use in dark, muddy and wet conditions. A technique called photogrammetry allows 3D models to be made of objects using cheap cameras and software – even in caves. Photogrammetry is the science of getting precise measurements and three-dimensional data from at least two photographs. This technique can be applied to construct a 3D model of any scene from any source of image, from standard digital cameras to cameras on Earth-orbiting satellites. The 3D models can be analysed to store information on size, volume, shape and morphology of the surveyed areas. 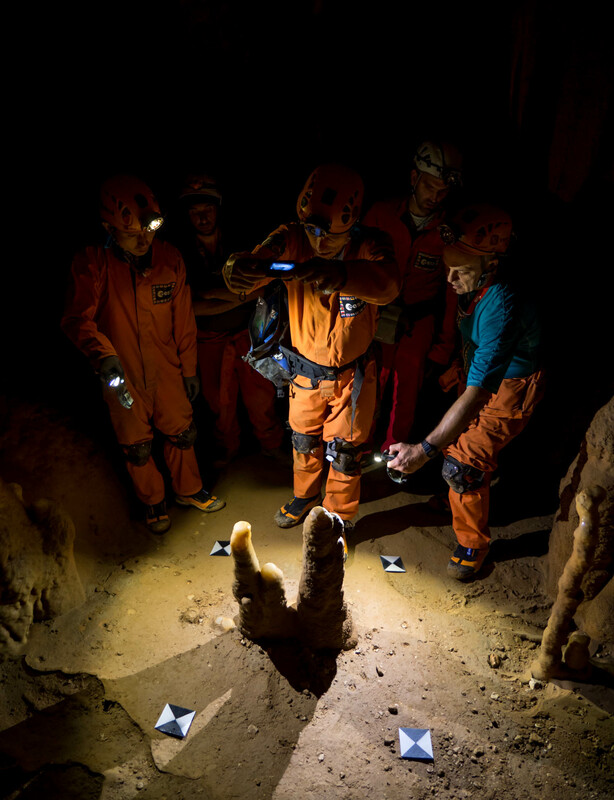 This year for CAVES we decided to use photogrammetry with the astronauts in different areas of the cave exploration. 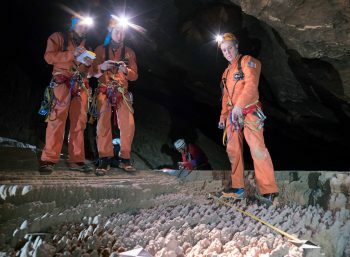 This technique could also be used on the surface of other planets, or even underground such as in the lava tubes of Mars. The cavenauts are taking photographs of speleothems (stalactites and stalagmites), cave walls, strange mineral formations and extraterrestrial-like scenes that will allow them to build 3D models and video animations of the places they explore. The data will give us the opportunity present the 3D landscapes of the fabulous underground to the outside world, so stay tuned to follow their amazing adventures! that’s awesome, will try sometime. I’m member of speleology group of argentina (www.gea.org.ar). Thanks for sharing this info. Hi, interesting work. I will be doing photogrammetry in caves in Patagonia in a month, I am wondering if you have technical information about the processes you use.